Brian Keith Jones- age 59, passed away on January 29, 2019 at his home in Polson, with his loving wife, Brenda, by his side. He was born October 27, 1959 in Brownwood, Texas to Curtis & Joyce (Egger) Jones. He graduated from Rochelle High School in 1978 as Valedictorian and had participated in track, basketball, football & FFA. He made many lifelong friends from high school that he kept in contact with over social media and talked of them frequently. He married Lorrie Burns in 1980 in Texas and they had one daughter, Kelli Kae. They were later divorced. Brian loved his family and friends in Texas and was proud of his Texas roots. Brian moved to Montana in 1996. Here he met his soul mate and life partner, Brenda Bell and her 4 daughters. Brian & Brenda were married on May 27, 2000 and the love he had for her continued to amaze her for the remainder of their life together. Brian held many jobs over the years. He drove truck for a company in Texas, taking him all over the United States and also worked for Paradigm, building valves in the Texas oil fields. In Montana he worked for Jore, Lynch Fencing, Valley View Equipment, Graham Excavating and Out Back Toilets. Brian & Brenda have been the Grounds Keepers at the Polson Fairgrounds for the last 15 years; he served as PFI President for several terms and remained on the PFI Board of Directors. He took great pride and joy in making sure the grounds and arena was always ready, worked and safe for all the various users and contestants. Polson Fairgrounds held a very special spot in his heart and he was very proud to see the progress & growth he was a part of, for over 20 plus years. Brian was a Christian and a member of the Mercury Baptist Church in Mercury, TX. Later in life he considered the great outdoors his church. Brian was a very gentle man known for his kindness, sense of humor and calm nature. He always found the good in people, and had a soft spot for kids and animals, especially the underdogs. He enjoyed camping, rodeo's, driving back roads and spending time with Brenda and his MT family and friends. Brian was proceeded in death by his father Curtis and his grandparents on both sides. He is survived by his mother Joyce in Brownwood TX, wife Brenda; his daughter Kelli (Greg) Rye & and grandson Noah, Kelli's Mom Lorrie, all in TX; his MT daughters by choice, Dessilynn Brown (Don), Dacee Brown (Jason), Caitlin Prescott (Tucker), Alaina Leon (Spencer) and grandchildren Zaelynn & Xeni, Shayden & Khyesin, Gunner & Ryatt, Kaine & Rhett; his brother Buck Jones, sister Brenda Miller, nieces and nephews Taylor & Zachary, Alvin & Valerie Jones, all in Texas; his in-laws Bob & Linda Bell, Brad & Erica Bell and nephews Jonathan & Remington, all in MT. 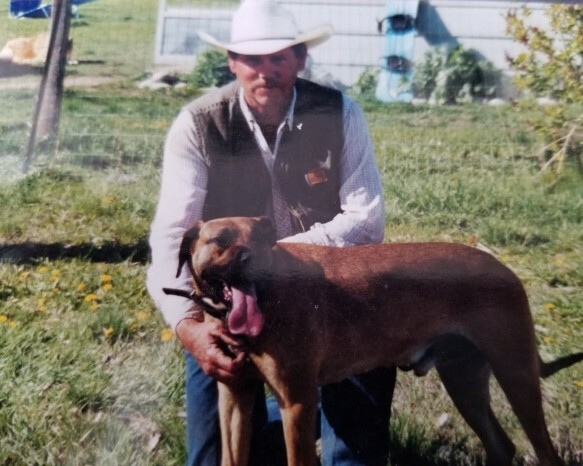 He is also survived and missed by his extended family and many friends in TX and MT, and his faithful dogs Jewel, Jessie & Jinx and mean old cat, Chaos.